Finally, the New York City Transit Authority is talking sense. Andy Byford, the brand new president, has offered what we desperately need—a bold plan for fixing our subways and buses. I heard him present his proposal, “Fast Forward,” last week and I must say it sounds strong. It is a real plan, not a Band-Aid approach to the systemic flaws in the network. Empower the workforce, enabling a focus on customers. And what the hay?! Instead of embracing this audacious vision, New York elected officials are pointing fingers about who should pay for it. 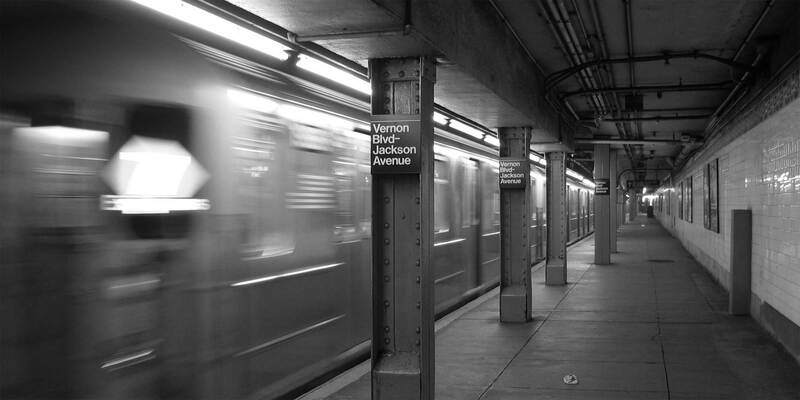 The 7 train entering Vernon Boulevard/Jackson Avenue station. Photo: Wikimedia Commons, Daniel Schwen. Well, those politicians and their predecessors should have thought of that decades ago when they stopped adequately funding the system. Because that is the problem. They kicked the can down the road before, but there is no road left for kicking it further. Every tired worker on a stalled train will be thinking about Governor Cuomo and Mayor de Blasio, our State Senators and Assembly Members, our local representatives, and our Congressional delegation. They will be thinking about how their commute is longer because our leaders were busy blaming each other. It won’t be just another New York irritation, shrugged off as the cost of living in the greatest city on earth. It will be the reason they vote for new leadership. Byford has told us that we will all need to be patient while the Fast Forward plan is implemented. That is the kind of patience we would willingly exercise. So we need to tell our elected officials to find some political courage and find the money. If that means a strong congestion pricing plan, so be it. If that means value capture and new taxes, go for it. (It probably means all of the above and more.) And it isn’t just about the money, it is about procurement and work rules, both of which need to change to get the job done. I urge you to help keep the pressure on the decision-makers. If we don’t do something now, our city is on a slow spiral downward that begins with the lack of a fast and reliable mass transit system. It will be their legacy, but our pain. Because really, do we want people to say that London can do and New York can’t?